In the mid 80s, a bunch of students from the Free University of Brussels started throwing a ball around on campus in between their exams or nights out. They quickly fell in love with baseball and wanted to further develop the sport in Brussels, so founded Brussels Kangaroos in 1988. The club became officially affiliated with the French-speaking Belgian Baseball and Softball league (LFBBS) in 1989 and has since grown into a much larger structure, offering the possibility to the young (from the age of 3.5) and young-at-heart, guys and gals, beginners and experienced players to play baseball and softball in both recreational and competitive teams. Today, the club counts between 150 and 200 members, who make up a good half a dozen teams that compete against other clubs all across Belgium, from the windswept plains of Namur to the outskirts of Antwerp, during the official season that stretches from April to October. 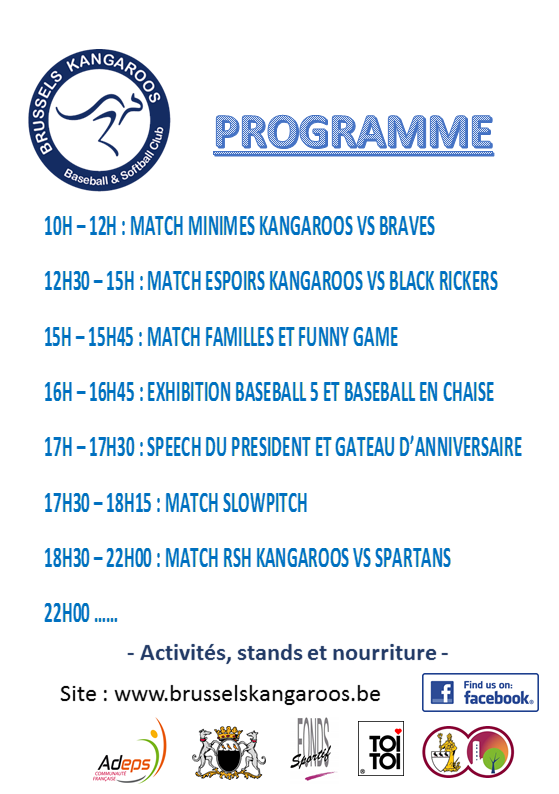 In addition to competing in national leagues, the Kangaroos are also stalwarts of the international Little League tournament, where the best players are selected to join the Brussels All-Stars team and go on to represent Belgium in the Little League’s regional (Europe-Africa) and global tournaments. These teams have reached the World Series several times, and the last to date was the under-17s in 2006 in Bangor (Maine, USA). Similarly to the club itself, the Kangaroos’ field has changed with the times too. Since 2012, the club has been playing on a fantastic, brand-new multi-sport synthetic field at Stade Fallon (Woluwe-Saint-Lambert). It’s one of the nicest fields in Belgium! 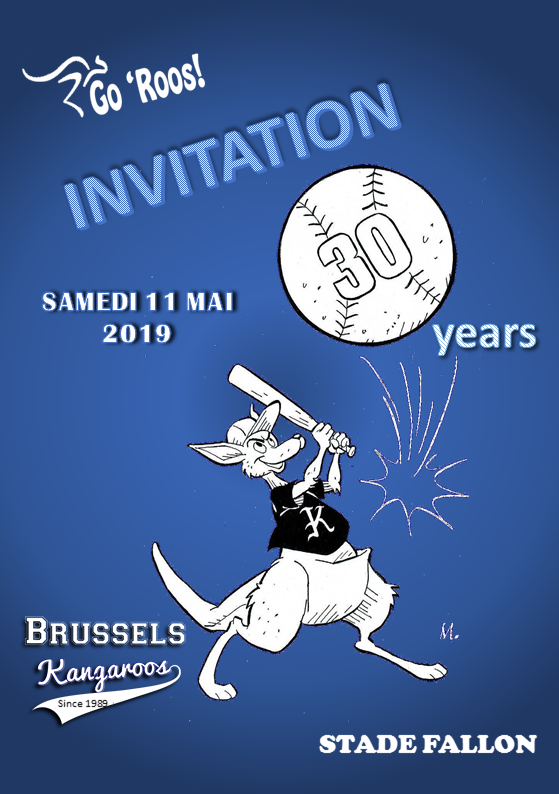 Throughout the club’s rich and varied history, the aim of the Brussels Kangaroos has never changed – our maxim is to organise and teach high-quality baseball to the young and young-at-heart, in a spirit of fair play, fun, self-improvement and simply having a great time! One of the club’s founders, Karim Dhanani, wanted to have his initial on the team cap. As for the actual truth, from time immemorial, well that’s been lost, buried and forgotten over the course of the club’s 25 or more turbulent years of existence, so it’s up to you to choose your favourite version. The important thing to remember is that Brussels Kangaroos play baseball and softball in a spirit of fair play and good sportsmanship! Minimes become undefeated Belgian champions! Brussels Little League Major team (mainly made up of Minimes Kangaroos) represent Belgium at the regional Europe-Africa tournament in Kutno, Poland.